Carolina offers “Service You Deserve” as she enjoys the variety and challenges of working in all markets. 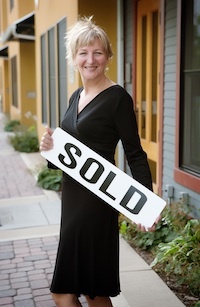 Carolina has worked on both sides of hundreds of home sales and specializes in helping Buyers and Sellers. Having donated over $100,000 to charitable organizations her specialty is truly caring about others. Once met, you will know this includes YOU! 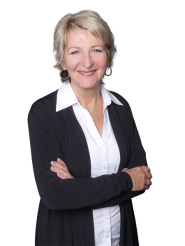 She is a motivated successful Realtor living in the Fort Collins area for over 25 years and working in the real estate market since 2002. Carolina services Fort Collins, Loveland, Windsor and surrounding communities. With fifteen years of continuous prestigious awards such as RE/MAX “Hall of Fame,” “The 100% Club,” and "The Platinum Club," Carolina is in the top 2% of RE/MAX agents worldwide. Contact Carolina with all your real estate questions and benefit from her knowledge and skills as she helps YOU achieve YOUR goals! Credentials and client reviews are available. Just pick up the phone and call us at (970) 690-7667 or send a quick email to carolina@carolinawesters.com. "We couldn't have found a more caring, understanding and strategic broker. She made herself available to fit our schedule at odd hours and ultimately helped us close on our house! We put 3 offers on the house and were able to come to an agreement only after making the 3rd offer. Carolina is amazing at her job, I wouldn't recommend anyone else!" "Carolina was a real joy to work with. She is very knowledgeable with local real estate and had all the answers to my questions. She wanted me to love the home not just settle. She was also concerned with resale potential. She gave me the time of day during a very busy time of year. She was available for my needs and questions. She is the whole package - smart, honest and dependable. RE/MAX Advanced provides great service to people buying homes by having exceptional agents like Carolina Westers." "It was a fantastic home buying experience. Carolina was very in tune with what I wanted in a home. She didn't waste my time showing homes outside my price range and felt free to give her opinion, which I valued!" "Working with Carolina was great! She provided good advice based on the current market and was very knowledgeable about the circumstances I was in that impacted the sale. I followed up with Carolina annually to see what the market was doing - it took 3 years before it was time for me to sell. Carolina always took time to help me understand what was going on. She even helped me find comps to try to refinance. I felt she had my money interests in mind. She is patient and wants what is best for her clients. She always had time to talk to me, even when she knew I might not sell." "Carolina was absolutely wonderful to work with. I would never use anyone else ever again. She kept us well within our budget and made sure we wouldn't be paying for a home that we wouldn't enjoy in the long term or that wouldn't be a "smart" investment. She was super friendly with us as the buyers and with the sellers. In addition, she walked us through the entire "bidding" process to ensure we had the best possible offer on the table. I would recommend Carolina in a heartbeat! By far the best realtor to work with!" "Carolina is great at communicating with clients and getting houses sold! She walked me through what to do about several financial issues and was very careful about my money. I like how well she communicates with everyone during the whole process. She made sure I understood all of the details, many of which I would have missed! She is an excellent realtor. She has worked with me selling 3 homes and all 3 projects have been successful, even through the recession. I'm very glad I asked Carolina to help me sell - it wasn't easy, but it was successful and I wouldn't have been able to do it by myself!" "Carolina is very good at what she does. Not only is she professional, intelligent and highly informed about the market in Fort Collins but she is very easy to work with. We felt like we had built a friendship with Carolina. We loved Carolina! Would use her again if we every needed to and would highly recommend her to anyone looking to buy or sell in the area. She will be getting an invite to our housewarming party!" "Carolina is great to work with. This was quite a challenge and she remained positive and helpful throughout. She did her best to get us the best price possible. Communication was good, she was easy to reach and always willing to help. She did everything she could to help us and we didn't feel like we were ever a second priority even though it was not a high price listing. Thanks for hanging in there with us!" "It was a genuine pleasure to work with Carolina. She was always considerate of inspection and closing costs. She worked through issues that arose in a collaborative way. It was great to have someone that I could explore options and ideas with. And feel like our decisions were well thought out. Carolina is a super effective communicator." "Carolina is absolutely wonderful. She is so thorough, careful, a definite people person that really cares about people first before any transaction. She works so hard and her honesty, integrity and ethics are important values to her that really let her clients rest assured that Carolina is taking care of everything. I really felt like she was fair and took extra steps to protect our interests. I trust her completely and know that she wouldn't be satisfied with an unethical decision or unhappy client - no matter the size of the commission. She works to make everyone happy. We wished she lived in Oregon near us!" "Over the years in several transactions Carolina has been consistent and effective working on our behalf. We're grateful we've had the opportunity to benefit from her services." "Top notch professionalism and she never misses a beat! She works hard for us and we know she'll get everything done, above and beyond. We trust her, her opinions and insight and wouldn't want to use anyone else. She is timely and keeps us on track from start to finish." "Carolina made what could have been an overwhelming and intimidating process doable and mostly fun!! "